April is the month of the flowering orchids in Lacona. Around 17 divers species of orchids have been discovered during our guided excursions in Lacona and around 40-47 species on the whole Elba Island. In the second half of April is the peak of the flowering season of the orchids. 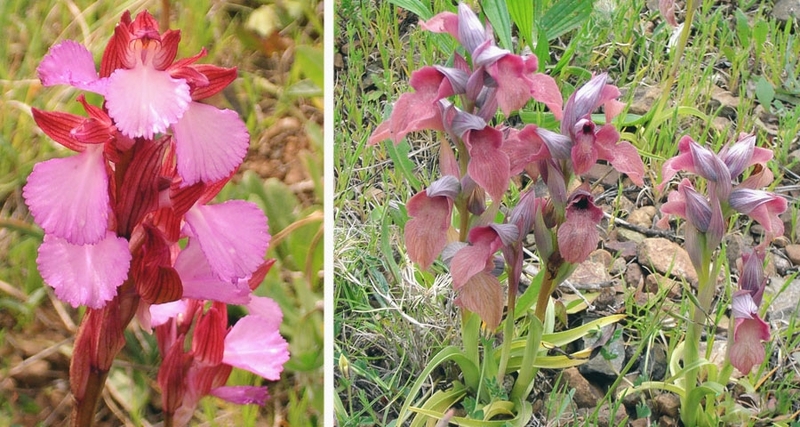 The most common species are l'orchidea farfalla (Orchis papilionacea), followed by bocca di gallina (Serapias neglecta), serapide lingua (Serapias lingua) and ofride del tirreno (Ophrys tyrrhena). The beauty of these orchids which are colouring the meadows and walking trails of Lacona inspire our guided walks and our guests. That is why we have dedicated a week to photostop trekking of the orchids around the gulf of Lacona. Come and visit us to explore and enjoy the flowering orchids of Lacona.